Baylor: Do you think firing Briles is enough? It’s a new day here for me and I can feel the satisfaction starting to seep into my bones. With the announcement that Art Briles has been fired from Baylor University’s football program, I am hopeful that justice will finally be served. It has been quite apparent to all of those around me that I have been enraged after finding out that Baylor had been protecting predators on their campus for the sole purpose of winning. I, personally, love to win. I am highly competitive and often find myself suppressing that competitive nature in order to maintain interpersonal relationships. When I was a young child, my parents taught me to win. They showed me how good it felt to take victory with me in my life endeavors. What they also taught me was that if I maintained my integrity while winning, then I was truly a champion…that winning “at all cost” was not the answer. How many true “wins” does Baylor have at this point? Over the last 3 years, it seems that they did not show the heart of champions and instead were a wicked, deceiving member of our conference. In 2013, OU would have been the Big XII Champion. In 2014, TCU would have prevailed. But they didn’t. Their conference titles were stolen from them much like the innocence was stolen from the women who were raped by a university who ignored the truth simply to keep winning. It is an indecent representation of what a Christian school, or any school, should stand for. As I have said before, those championship titles should be stripped from BU. In the “Finding of Facts” document released by Baylor this morning, the infractions are numerous. The interesting part to me is that THESE ARE THE INFRACTIONS THAT BAYLOR IS WILLING TO RELEASE TO THE PUBLIC. There is no way to tell how accurate this is until they release the report in its entirety. In the 13-page document, the word “fail” is used in some form or fashion over 40 times. 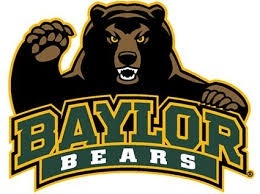 Failure was used to describe the actions of football coaching staff, administrators, student conduct investigators, and the Baylor University Police Department. Baylor isn’t being fully forthcoming on the way that they will handle this situation. I guess they are attempting to protect the reputations of those involved. Baylor media released this statement, “Additional members of the Administration and Athletics program have also been dismissed. Neither these individuals nor the disciplinary actions will be identified publicly.” For the life of me, I cannot and do not understand this. Tell us who is being punished or at least tell us that you are sending cards to all of the victims spelling it out for them. The fact is that these incidents can be dated back as far as 2009 but Pepper only investigated back to 2013. Funny, that’s when Baylor started winning. I hope that the women assaulted before 2013 aren’t hurt by this. I hope they realize that they matter, too. I hope they realize that it mattered EVEN when Baylor was losing. The NCAA hasn’t weighed in yet which will be interesting. Maybe they will put a rush on this but more than likely we won’t be privy to their findings and decision until 2020. The coverage of this is insane. My obsession with this is also insane. I hope that this wound will continue to open and that every ounce of disease is eliminated. No stone unturned. Football fans everywhere are saddened. To Baylor Nation, I know your heart is broken. Mine would be. I hurt for you guys, I really do. Please know that if it was a cover up at TTU, I would be even MORE passionate about justice. This hasn’t been an "I hate Baylor" thing for me. It has been a "people are more important than football" thing for me. (And you have got to know that I LOVE FOOTBALL) As we say at Texas Tech…Strive for Honor.